Get Found in Local and Google Maps Pins! Optimizing for Local Rankings is not just a matter of SEO / SEM – Search Engine Optimization & Search Engine Marketing. Question: What can be added? Answer: We manually build Google Maps, Yelp, Yellow Pages and other listings for you to drive web traffic in your website. Leverage the power of location to drive more customers to your website — and give them an outstanding experience while they’re browsing search. Whether you have 1 location or 100, our industry-leading software and solutions help you maximize your home field advantage. 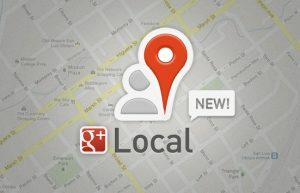 Creating an account in Google My Business – Google has already connected pages on Google+ and Google Places. Using Google My Business, you can quickly and easily update your business info (address, contact information, website). It allows for easy communication and Google Maps navigation use (business gets geotagged map). Finally, on Google Reviews, tab users can post reviews in order to help others to make the right choice. Creating pages on Yellow Pages, Yelp, Business Pages and on other listings – Key information must be the same, because it can improve the results in a local search. Search engines take into account the reviews of the business for these resources. Placing company’s address, name, telephone and website on the main site – this will help Google to integrate and correlate the results of business, improving local search issuance. We can do all this for you! Easily control and manage your listings on our 35+ global partners, including Google Maps, Bing, Facebook, Foursquare, Yahoo and Yelp. 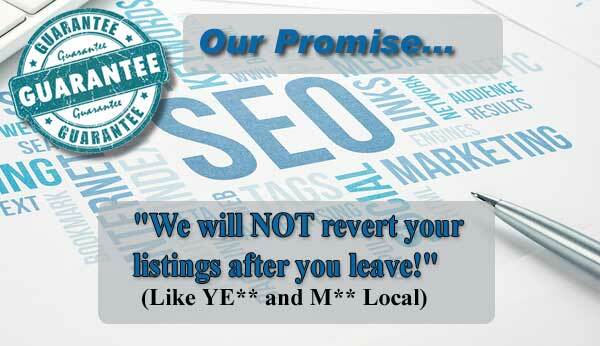 1 Keep your Listings Things don’t revert back to the way things were before you started, Unlike YE## and Ye** and M** Local. 2 Quality / authority of inbound links to domain. Our partners are among the most trusted sources on the web — on 50+ sites, instantly, in a single click. 3 Domain authority of website. We will push your URL to all of our publishers, improving your domain authority. 4 Rich Content. Many citation sites allow Rich Content, for these sites we post images, products etc. All these features are included for $30 monthly for 6 months. The MOZ team released their Local Search Ranking Factors. As Search Engine Land reported, the majority of factors (and the most weighted) seem to have remain largely unchanged. However, with the rollout of the Pigeon algorithm, a few factors’ importance have shuffled around. We’re going to talk about some of these factors and how This Program can help you manage these. The article lists out the top 50 Localized Organic Factors that contribute to search rank/relevance. As exhaustive as that list is, we’re only going to focus on the top ten items listed there. It’s noteworthy that a number of the other Localized Organic Factors are related to site design and layout. It appears that, for purely organic local search, optimizing a client’s website is as important as ensuring their listings are under your control. We mentioned in the opening of this post that Pigeon, the new Google ranking algorithm currently deployed and being tested/tweaked, has influenced which ranking factors weigh most this year. Of the factors determined to be the 10 most influenced by Penguin, This Program exerts control over five — half of the listed factors.